A Delaware woman was sentenced to three years in prison Monday for assaulting a Delaware County sheriff’s deputy and spitting in his face while she had hepatitis in March. 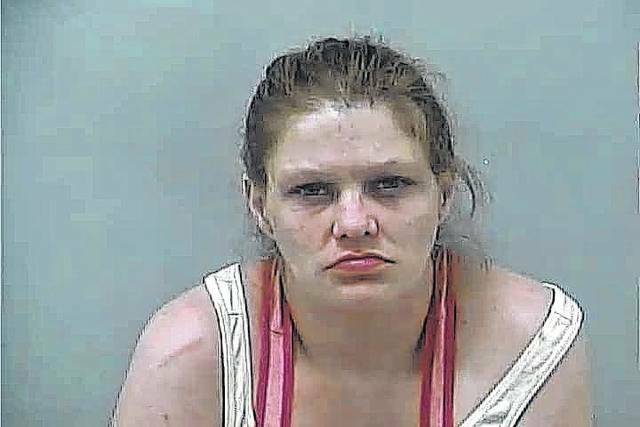 Crystal Gail Farley, 36, appeared in Delaware County Common Pleas Court on Monday to be sentenced for one count of felonious assault, a second-degree felony, and one count of harassment by an inmate, a fifth-degree felony. Farley pleaded guilty to the charges at a change of plea hearing on May 25 and said that on March 2 she appeared in Delaware Municipal Court for a probation violation and was sentenced to seven days in jail. She continued that she was really upset, on drugs, and didn’t want to go to jail, and then became resistant to being taken to jail. Farley said deputies had to carry her out of the courthouse and during the struggle she said she spat in the face of Dep. Jack Daniels. She said that her struggling also caused Daniels to fall, breaking his finger. Farley said that she “wasn’t in her right mind” at the time of the incident and apologized. Prosecutors said Daniels’ finger was broken so badly that pins had to be inserted in it. On Monday, Delaware County Common Pleas Judge David Gormley reviewed the facts of the case and ordered that Farley serve three years in prison for the felonious assault charge and one year in prison for the harassment charge, but stipulated that the two sentences will be served concurrently. Gormley also said that Farley will face three years of post-release control when she finishes her prison sentence. Farley was being held the Delaware County Jail Thursday awaiting transportation to the Ohio Reformatory for Women at Marysville. Farley was indicted on March 10 and was also originally charged with two counts of assault, fourth-degree felonies; one count of resisting arrest, a first-degree misdemeanor; and one count of criminal damaging, a second-degree misdemeanor, but these charges were dismissed as part of the plea agreement with prosecutors. Farley was out on bond after her change of plea hearing, but bond was revoked after prosecutors reported she tested positive for and admitted to using marijuana, cocaine, and alcohol.